We know the future is bright, as today’s young minds continue to astonish us all with their ingenuity. At Sports Unlimited, we understand the importance of fostering this brilliance, and continued education is a key piece to this equation. That is why the annual Sports Unlimited Scholarship was created, providing assistance to those who will drive us forward. Requiring an essay submission on a particular topic, the scholarship is awarded to the individual who best displays creative thinking and resourcefulness. This year’s prompt asked students to identify a piece of gear or equipment currently used in a sport and describe how to improve it and why. Over a thousand essays were sent in, each of which described an innovative vision. Covering a range of sports and equipment from football to fencing, basketball to badminton. This year’s winner took on the popular topic of football helmet improvement, but was able to pull from a unique source of inspiration. 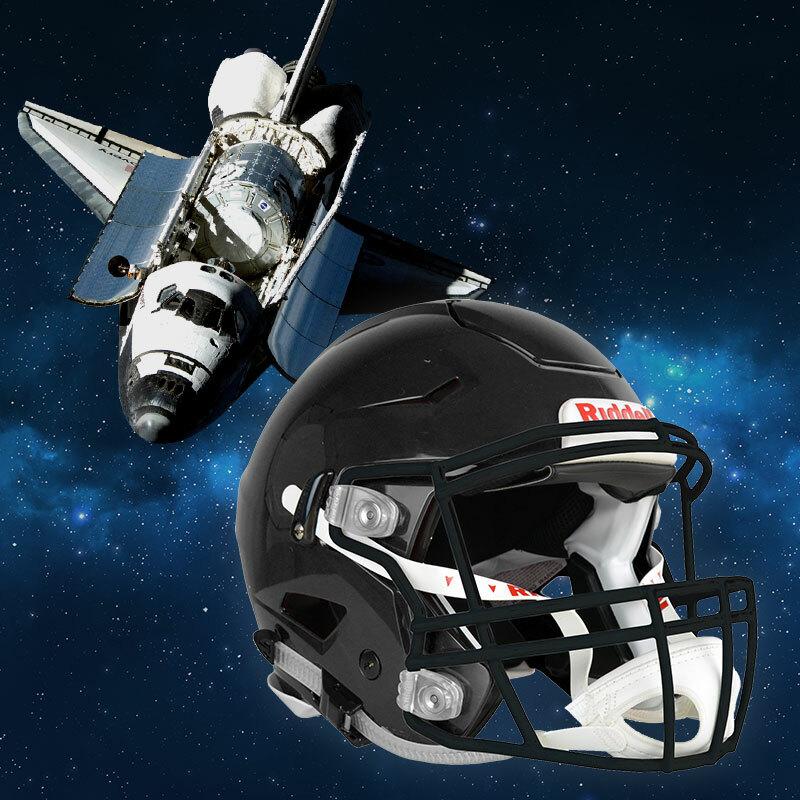 Using the design elements of the space shuttle, Paul Wasuwanich of Orlando, Florida was able to provide a compelling argument for how the football helmet should be redeveloped. And because of this, Sports Unlimited was proud to offer him a scholarship of a $1000, as he heads off to the University of Notre Dame this fall. Astronauts and football players have a lot more in common than many might think. They both work in extreme environment and therefore require extreme protection. Astronauts must survive in the harsh environments of space full of deadly radiation, destructive space debris, and freezing temperatures. Football players, on the other hand, must survive on the dangerous football field full of 300 pound opponents ready to tackle them with up to one ton of force, about 4 times the force required to crush a human skull according the Journal of Neurosurgery: Pediatrics . To protect from such threats, engineers have devised multiple defenses to keep astronauts and football players safe. One of those defenses is the helmet. 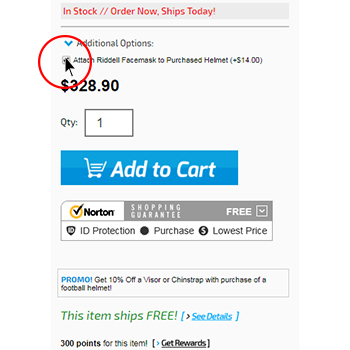 A football helmet is as important to the player as a space helmet is to an astronaut. Fatality is imminent if that crucial device is absent. It is easy to see how a man would suffocate in space without his space helmet, but harder to visualize the internal damage a football player suffers with each blow to the head. According to statistics from the NFL, there were 271 diagnosed concussions in the 2015 season . Having closely studied the brain with my professor, Dr. Mohtashem Samsam, a neurologist from the University of Central Florida, I understand clearly that the previously mentioned 271 concussions is much more than the number suggests. Concussions result from severe head trauma, but football players receive much more head traumas that do not produce acute effects such as the concussion. A progressive degenerative disease called chronic traumatic encephalopathy (CTE) plagues football players who have received severe or multiple head traumas. In a 2014 study from Boston University, of 79 brains from former NFL players, 76 tested positive for CTE . Brains with CTE are similar in appearance and function to brains with Huntington’s disease. Today, we are so used to hearing about football concussions that they have become accepted as inevitable, but they are not. Over the years, football equipment has improved, reducing the number of concussions and the severity of brain damage. No helmets became leather helmets, and leather helmets became the modern football helmets we see today. The modern helmet is still not sufficient and can be further improved to reduce the number of concussions even more. In this case, the impulse is constant, so by increasing the time of impact, we can decrease the force of object when it hits in the inner wall. Having alternating layers of hard and soft defenses means the object or shock wave must pass through multiple materials with different properties. It takes a shock wave more time to pass through two different materials than one material of the same amount. The football helmet should be designed as such: A thin outer layer of a hard, light material (e.g. carbon fiber), followed by a soft material (e.g. foam), a hard material again, a soft material again, then a thick hard layer, and finally a soft cushion for the head. Other than increasing the time of impact, the outer walls of the spacecraft also deforms. Deformation, unlike deflection, absorbs the energy of the impact. A football player wearing a helmet that deforms on impact will experience less force to the head than a football player wearing a helmet that deflects the impact force. The reason cars crumble in crashes is not because of the force of impact, but because engineers designed the car to absorb as much energy as possible by deforming in order to protect the driver. Although football helmets that deform on impact will have to be frequently replaced, it is worth the improvement in safety. Broken bones can heal, torn muscles can be repaired, but dead brain cells cannot be replaced, therefore, head protection in a sport as aggressive as American football is of uttermost importance. Sports Unlimited would like to thank all of those who submitted an essay for this year’s scholarship. We will be sharing a few of our other finalist’s ideas in the near future. The prompt for the 2018 Sports Unlimited Scholarship will be available soon, so be sure to check back! It’s here. I repeat. It’s here. Holy smokes does this helmet look and feel incredible. As people obsessed with football gear, we have been impatiently awaiting the arrival of the Riddell SpeedFlex Helmet because it’s the most exciting helmet release in recent history. 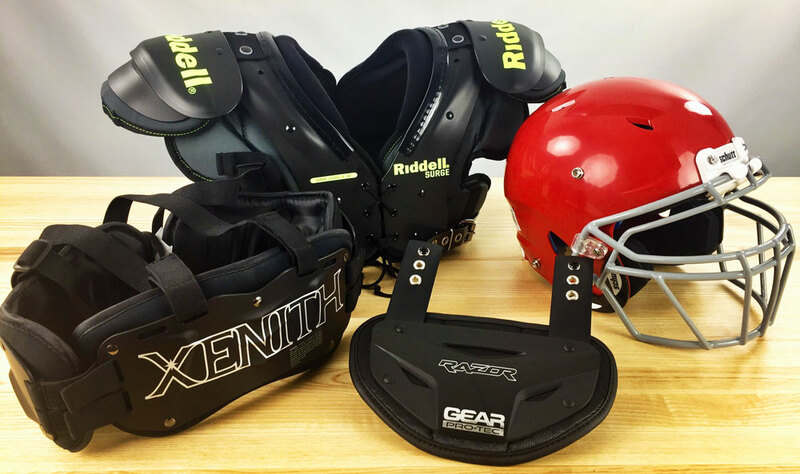 With new protective tech and design aspects we’ve never seen before, Riddell has built a game-changer. If you’re looking for the nitty-gritty details, features, and specs, head on over to our SpeedFlex page for more specific information on the Flex System, Composite Energy Management, new Ratchet-Loc retention system, and other crazy cool tech. 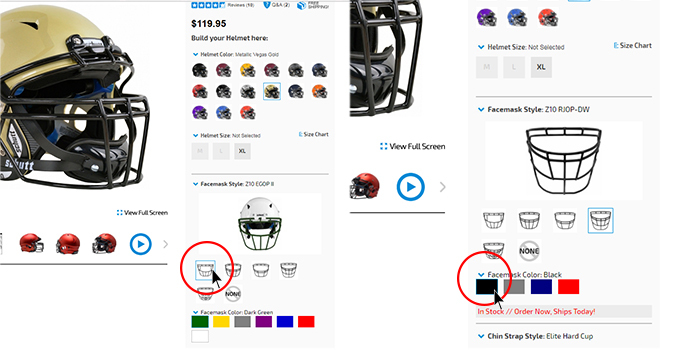 We will be getting in all sorts of colors (including matte colors) and sizes so that you’ll be able to find the exact helmet you want and need. We actually stock these helmets right in our warehouse so that they can ship out the same day if ordered before 3 PM ET because when you buy a SpeedFlex, you get it quickly. One of the coolest new features about the SpeedFlex is the new Ratchet-Loc retention system that helps you adjust your chinstrap quickly and easily. With ridges in the straps that lock into place with proprietary tech from Riddell, you can just tug on the strap until it is in the proper position and keep moving. 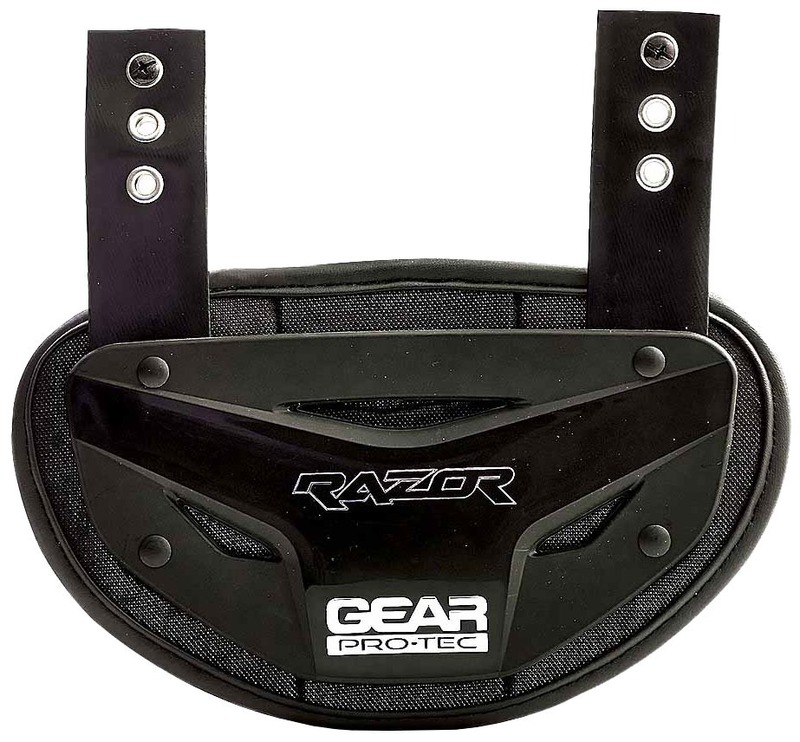 This helps with getting the helmet to fit right on your head and comfort in the chin. Safety is by far the most important aspect of the game in our eyes and getting your chin strap in the proper position consistently helps make your helmet safer for you. Additionally, this helmet passed “The Test” and by that we mean the Virginia Tech Helmet Study. SpeedFlex got a 5-star rating, and although the VA Tech Ratings system has its flaws, it is sure as heck better to score 5-stars than not. We can’t wait to see these out on football fields all over the world this spring, summer, and right into the season this fall. The idea of moving football fans closer to the action is nothing new. Doing it successfully… well, that’s a different story. 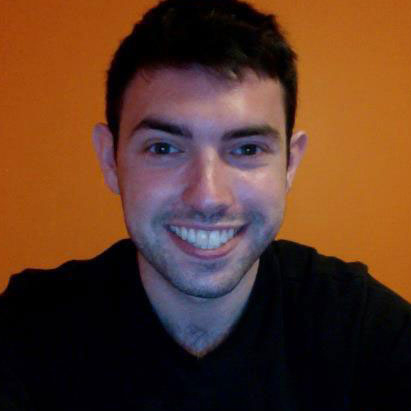 Enter JR Liverman, Founder/CEO of Sports Video Innovations. Liverman’s company generated plenty of buzz at this month’s American Football Coaches Association Convention in Indianapolis announcing a partnership with Schutt Sports that will give players, coaches and fans a new look at football. SVI has driven the design behind the new Schutt Vision – an AiR XP Pro helmet with a high definition camera placed where the nose bumper usually sits. A small electrical board is also encased on the back of the helmet. 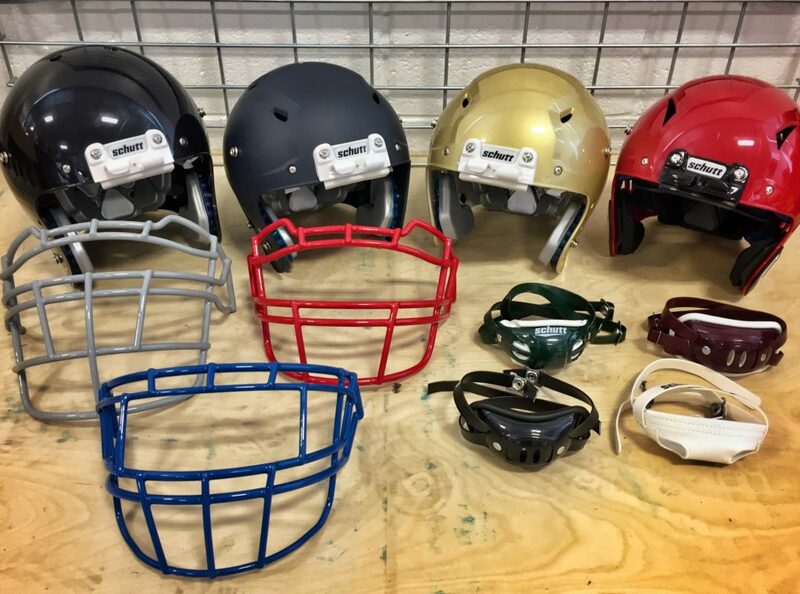 Schutt Vision is NOCSAE approved and passed all impact tests. 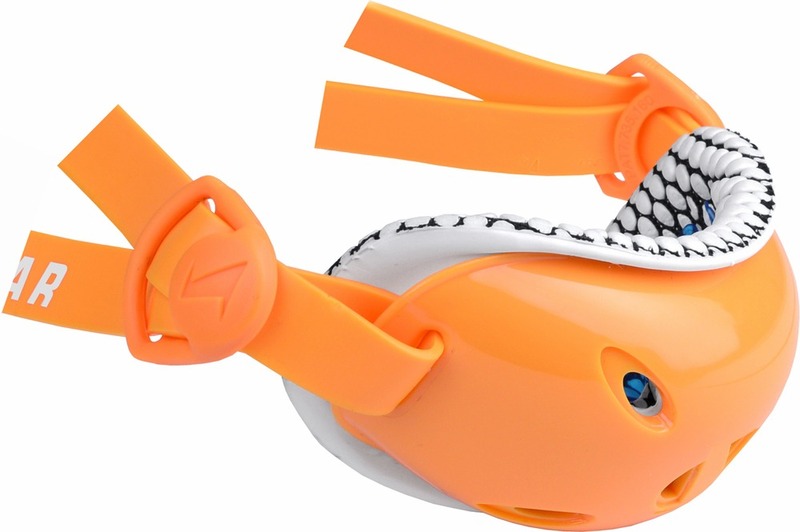 There are two versions of the helmet, one that records on an SD card and another with streaming video. The initial release will be the SD version and the streaming video is expected to be available in the spring. There are two small buttons on the back of the helmet that allow the camera to be turned off and on, and it can record for roughly 2.5 hours. 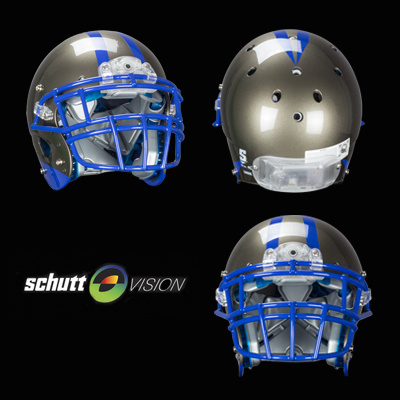 Schutt Vision will be made available to select teams in the spring. Coaches at the AFCA show were already salivating thinking about the ways they could use the technology to their benefit. Schutt Vision is gaining steam quickly. An agreement has been reached with the Arena Football League to use the helmet in every televised game this season. But don’t be quick to brush off the possibility that this camera angle could be the wave of the future as innovation often comes from outside the sport’s highest level. Look no further than the Skycam, which came from small beginnings to become a staple in every major stadium in the country. ESPN recently showed the entire BCS National Championship Game from the Skycam angle as part of their enhanced coverage online. 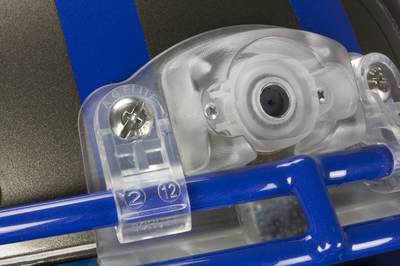 While other companies, like Go Pro and Contour, have had some success putting external camera on helmets, nothing has come close to Schutt Vision. But in the very near future, football will be closer to the fans than ever before. The health and safety of youth football players is paramount to players, coaches, parents, and us at Sports Unlimited. At the core of the safety concern is the helmet; the one piece of equipment that is designed to protect the brain. Using an improperly-sized helmet is just as detrimental as wearing a helmet that does not provide great protection from cushioning systems and advanced shell construction. 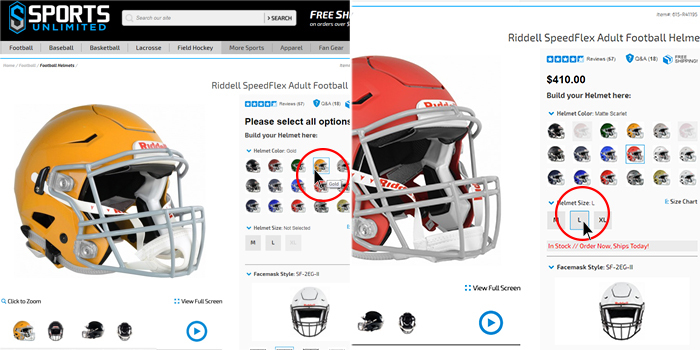 As safety is the most important portion of the decision-making process for buying a football helmet, price and style still have their place because gearing Junior up for football season is time-consuming and cash-consuming. With all exaggerated grandeur, I do now present to you the new Schutt Vengeance DCT Hybrid Youth Football Helmet! With Schutt’s mastery of helmet design and construction, the Vengeance DCT Hybrid is built with advanced protection technology in the most critical areas at an affordable price. The front, crown, and back parts of the helmet are strategically protected with Dual Compression TPU (DCT) technology that has elite protection against high and low velocity hits. This is accomplished with one layer of hard TPU supplemented by one layer of soft TPU to maximize the absorption of shock from impact. Schutt’s extensive research and development have determined those areas (front, crown, and back) as the highest levels of impact, needing the most advanced defense. The sides of the helmet are lined with a vinyl nitrile padding that supports and protects the rest of the player’s head. The comfort liner allows the DCT Hybrid to rest properly on the youth player’s head for a snug fit, which is not only important for comfort, but also for safety through proper fit. The immediately noticeable difference from this helmet to others is the brand new Vengeance shell design. 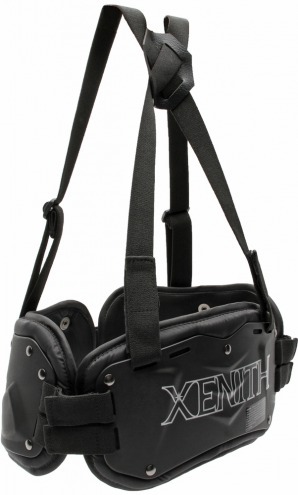 The largest standoff of any helmet manufactured, the Vengeance shell provides greater impact absorption as well as strength. 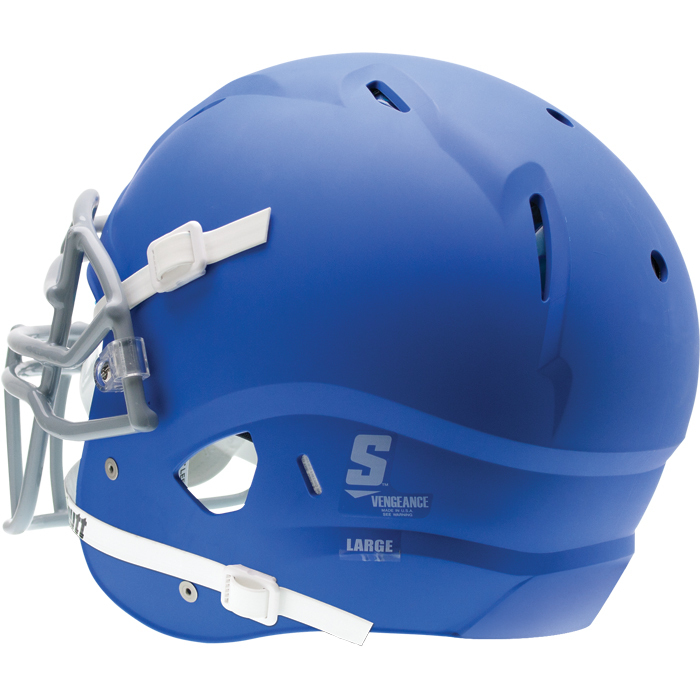 The shell is made of ABS plastic, which is lightweight and is featured on all Schutt youth helmets to bolster protection for any young player on the field. Another impact of the new shell design is a redesigned Faceguard Line with offset eyebrow bars to augment impact absorption. Along with the face mask change, Schutt introduces the Twist-Release System to aid in the event of injury. 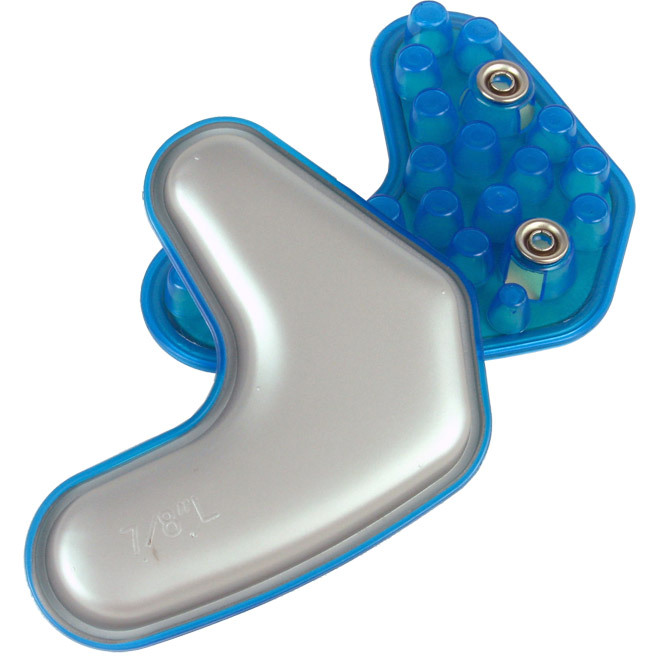 This allows the facemask to be removed quickly and easily. Schutt is really pushing their TPU technology, which is yet again in the AiR Maxx Jaw Pads to protect the youngster’s face. TPU is the same material used to make United States Armed Forces fighter pilot helmets. The advanced protection of this helmet through Dual Compression TPU, Vengeance Shell design, and new Faceguard Line is truly shocking at the $84.95 price. Expertly designed and packed with new protection technology, this helmet is one that we recommend with great fervor. You can’t beat the price at Sports Unlimited and don’t forget that we’re rooting for the overall safety of all players and of course, your team! Isaac is a writer at Sports Unlimited. 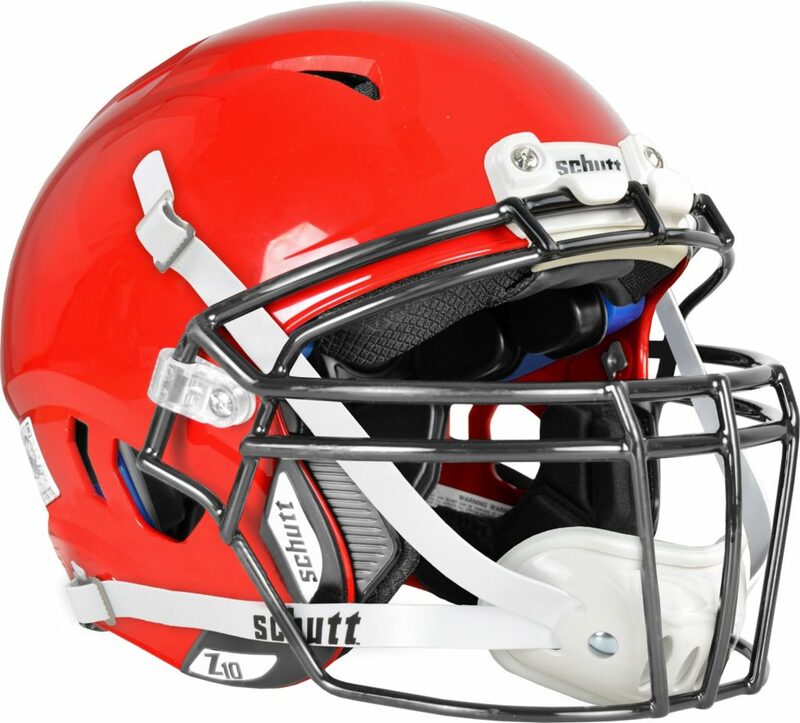 New Schutt AiR XP Pro Football Helmet Unleashed! 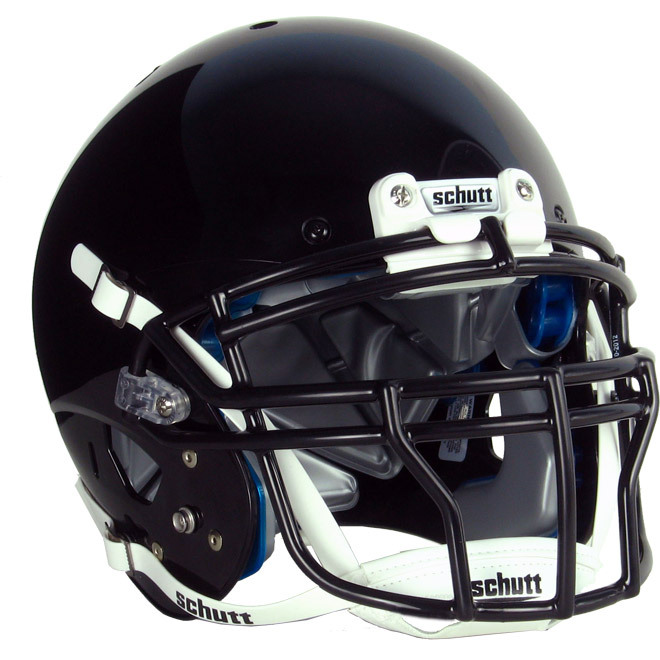 Schutt is loaded with elite quality football helmets and they’ve added to the arsenal again. 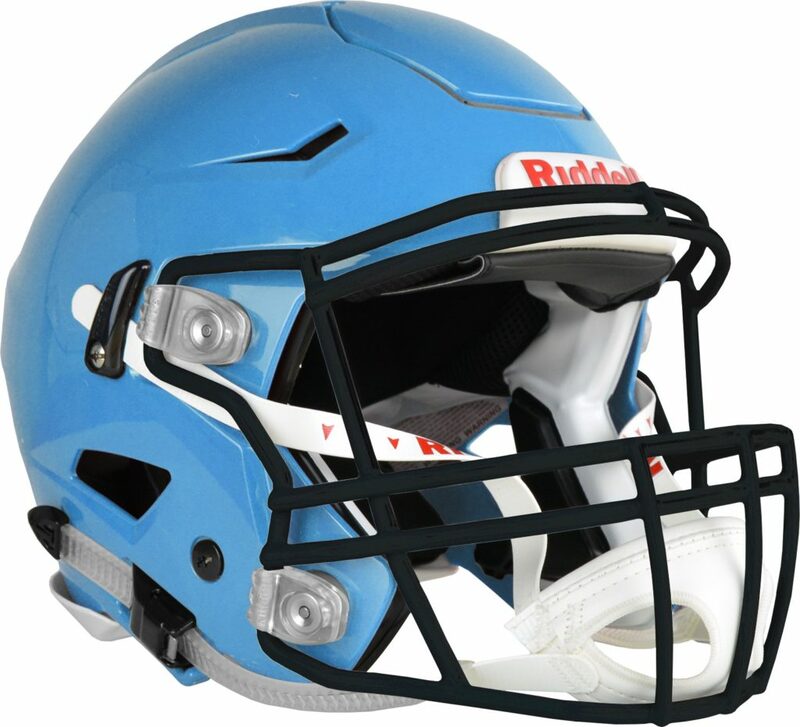 An upgrade to the popular AiR XP, the AiR XP Pro Adult Football Helmet has been whispered about for some time, but is now available at Sports Unlimited! Featuring Dual Compression TPU, the Surefit TPU Air Liner, and AiR Maxx TPU Jaw Pads, the beloved AiR XP is now immensely more safe in the Pro version. The original AiR XP was made famous by its on-field performance and lightweight design, and the new AiR XP Pro maintains its light weight (3 lbs, 2 oz) with the added benefits of the most advanced cushioning system in existence. I would say this is shocking, but when it comes to Schutt, nothing really shocks me anymore. 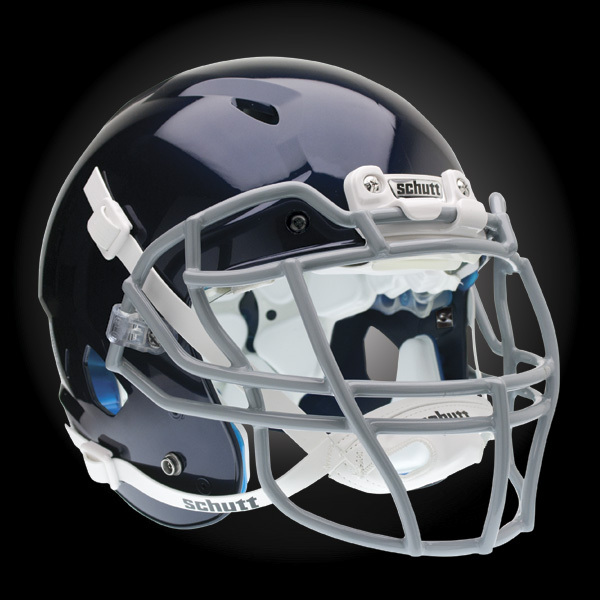 Consistent innovation and excellence are now the expectation from Schutt, and truly, they have not disappointed. We’ve witnessed the Dual Compression TPU (DCT) system in Schutt Vengeance helmets and by golly have we been impressed with this technology. It is no surprise that they’ve moved on to add this system to the lightweight AiR XP series to improve shock absorption from both high velocity and low velocity impacts. If you’ve ever been on a football field, you know how often collisions happen, and the way a helmet responds to these impacts is vital to the health of any player. 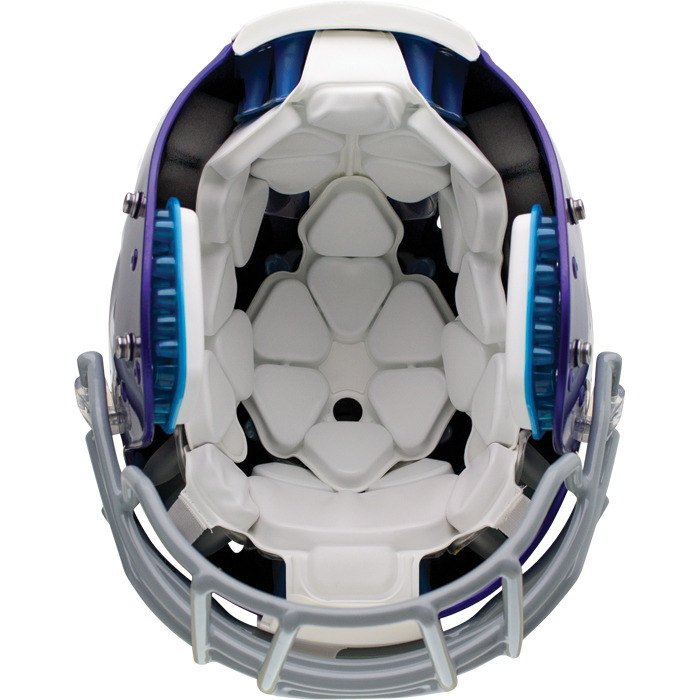 The DCT system simultaneously utilizes two types of TPU to best protect from every-play impacts as well as infrequent violent collisions. The combination of protection and lightweight construction will surely make this one of the greatest on-field performing helmets we have ever seen and as Schutt spoils us with so many exceptional helmets to choose from, now is the time to give your game a boost with a brand new helmet with the safest, lightest, and strongest technology football has ever seen! We, here at Sports Unlimited, are devoted to bringing you the very best football equipment because we take pride in our passion for the game. Stay safe and practice hard! Author AdministratorPosted on May 2, 2013 October 2, 2014 Categories FootballTags 2013 Football Equipment, AiR XP, AiR XP Pro, college football, Concussion Protection, DCT, Dual Compression TPU, Football helmet, football helmets, Lightweight Football Helmet, NFL, schutt2 Comments on New Schutt AiR XP Pro Football Helmet Unleashed! Welcome to the 2013 Sports Unlimited Football Equipment Draft. 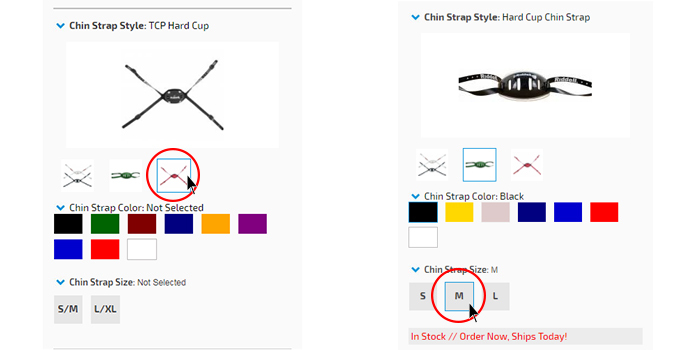 With all of our minds on the upcoming NFL Draft, we decided to present our own style of draft that features the best of the best football equipment that you can find at SportsUnlimited.com because we want to equip you with what you need to make 2013 the most memorable season of your life. We have randomly generated a draft order for some of our expert compatriots at SU and I will be documenting the draft so that you can stay informed with the top-of-the-line, most advanced products in the industry. Here are the top ten picks! With the luck of the draw, the coveted first overall pick in our draft goes to Andre from the Customer Service department. With every product still on the board, Andre selects the Schutt Titanium Big Grill 2.0 Football Facemask. Lighter and stronger than steel, this facemask brings the performance of a No.1 pick. Peak performance with the most intimidating and wicked design on the market make the Titanium Big Grill 2.0 one fearsome mask only available at Sports Unlimited. 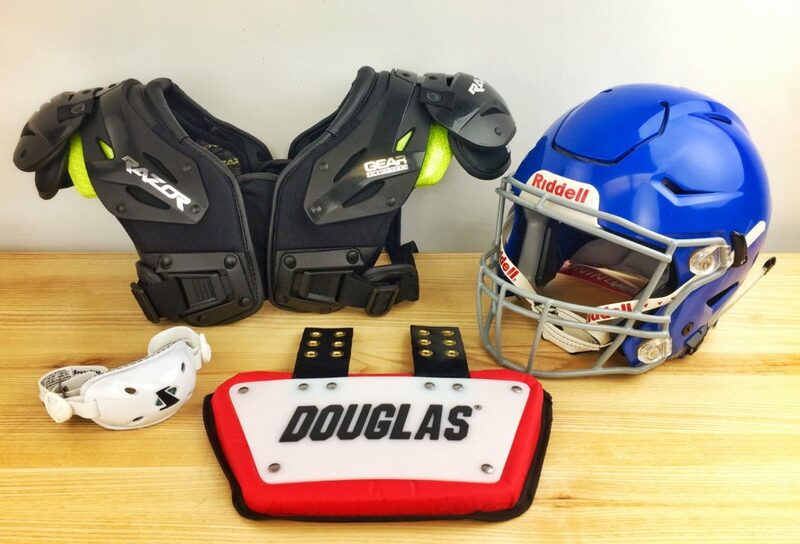 With so many incredible products remaining, Jason felt the pressure when he was on the clock and let it get down to 00:01 before deciding that the Schutt AiR Maxx Flex Adult Football Shoulder Pads – QB / WR were worthy of the 2nd pick. I have to agree with him because the Quarterback to Wide Receiver connection can put six points on the board on any given play. 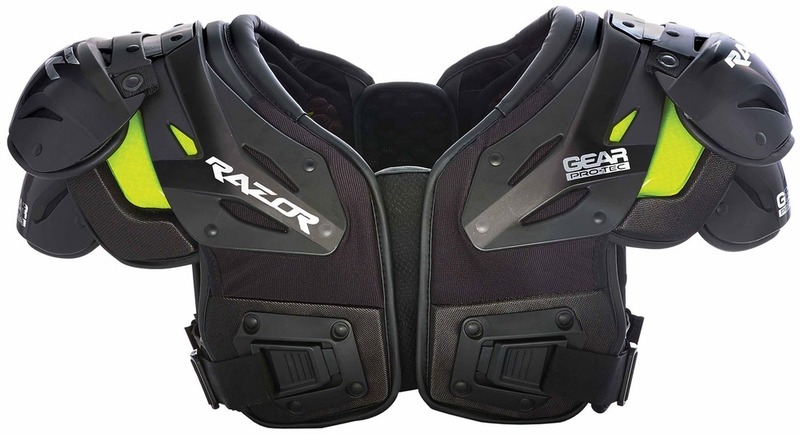 Ultimate protection with strategically placed TPU and superb range of motion give these pads the best draft rating in the biz. Drafting performance and protection for some of the most important positions on the field is always an excellent choice. In an early shock, Steve from our Web Team is going deep with the Cutters X40 C-Tack Revolution Adult Football Receiver Gloves. Equipped with a self-restoring C-Tack grip and available in an array of colors, these gloves make plays. Steve knows that fumbles and drops can cost dearly on the gridiron and he wasn’t afraid to snag an elite pair of ‘hands’ this high in the draft. Great pick! 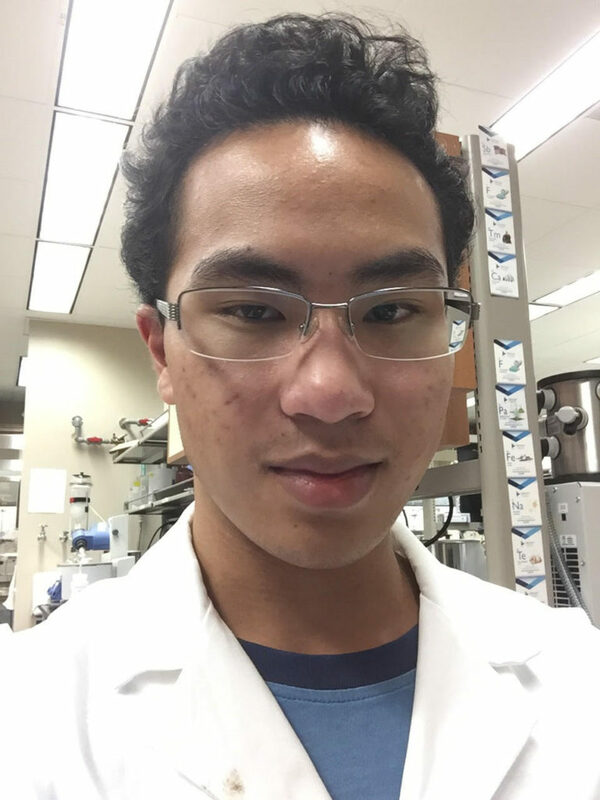 The fourth pick belongs to our wise leader and President, Don who makes the most popular pick of the draft with the Schutt Vengeance DCT Adult and Youth Helmets. Don goes with the numbers here because he knows this popular helmet lives up to the hype and “has been our number one selling helmet this year”! The TPU in the DCT is the same material used in United States Armed Forces fighter pilot and paratrooper helmets. Combined with a re-imagined shell design, I wouldn’t have been surprised to see this go first overall! Having had head and jaw injuries in the past, I knew from the start that I needed to draft a great helmet. With Don having taken the Schutt Vengeance DCT off the board, my decision became a lot easier because my internal argument was between the former and the Riddell 360 Adult Football Helmet. With Concussion Reduction Technology, Flex Face Guard, and Riddell’s Hexagonal Liner System, I may have just picked up the best helmet in the world. Web Team is here with another pick, and Steph, with an understanding of how important vision is on the field, dashes to our imaginary podium to select the Oakley Football Eyeshield. Steph trusts the Plutonite construction and HDO (High Definition Optics) technology from Oakley because wherever you are on the field, your decision-making relies on vision. The value here is playing smart and Steph’s team is going to be built on great vision and smart decisions. At the seventh pick, Doug, the feared Web Team Manager, picks up the product at the top of his draft board, the Schutt Vengeance DCT Hybrid+ Youth Football Helmet. “I like the combination of all the latest protection technologies and the value you get versus the Youth Vengeance DCT.” The innovative combination of Dual Compression TPU and traditional vinyl nitrile padding makes this youth helmet high in protection and low in price. This could be the steal of the draft! Michele, one of our Customer Service Supervisors, has the football knowledge and competitive spirit to know that winning on the gridiron takes great footwork and her strategy is speed, speed, speed. She’s getting some traction with the New Balance 993 Mid Mens Lacrosse / Football Cleats. These cleats were designed to have the versatility, durability, and lightness to make a player dangerous. Speed with stability can go a long way. We have back to back Customer Service Supervisor picks and this one belongs to Jamie. One of the friendliest people around, he cares about our products and our customers, which is why he is going with the Wilson TDS Leather High School Football. Without a ball, you can’t play and this beauty is approved by NFHS for high school play. Practice your skills with the ball or play some catch out back because a tight spiral just looks better with an official ball. You can see and feel the quality with 899 full-grain leather. Ryan received the tenth and last pick in the draft, but with the expertise he has as a Buyer and Customer Service Manager, he can draft in any position and come out with a winner. 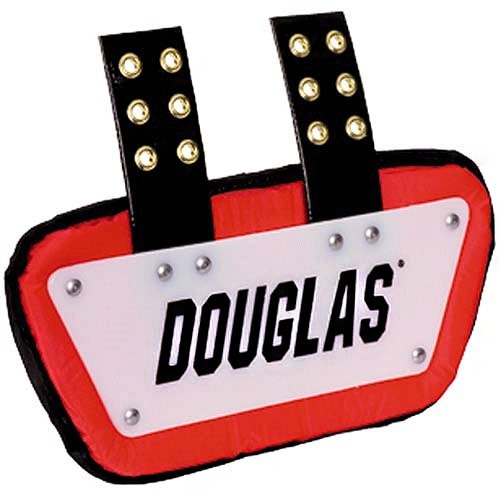 He calls the Schutt Y Flex All Purpose Youth Football Shoulder Pads, “great youth shoulder pads that our customers love for all positions. 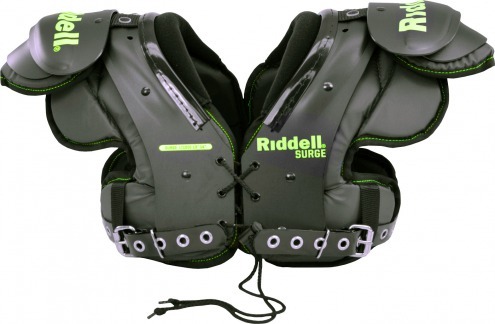 Value is excellent.” Ryan picks for strength and versatility with these youth shoulder pads that feature Air Flex tech and vapor holes to maintain protection with great comfort. Safety is paramount whether you are developing football skills or playing at an elite level. There you have it, our inaugural Sports Unlimited Football Equipment Draft is complete. I’d like to thank the participants for lending their expertise. I’ll declare the draft a success due to my personal happiness with my pick and I know you all were rooting for me. This draft could have gone any which way because the top ten draft picks were only a tiny sample of what SportsUnlimited.com has to offer! Good luck this season folks!